Category: minicomics. Genres: Anthology, Autobiography & Memoir, Drama, Humor, Sports. Concerning: cellphone culture and fashion and glasses and set design and soccer and teamwork and theater and vision and Weezer. Alec Longstreth is a comics-making MACHINE! His motto is “Draw Comics Everyday!” which he takes literally. 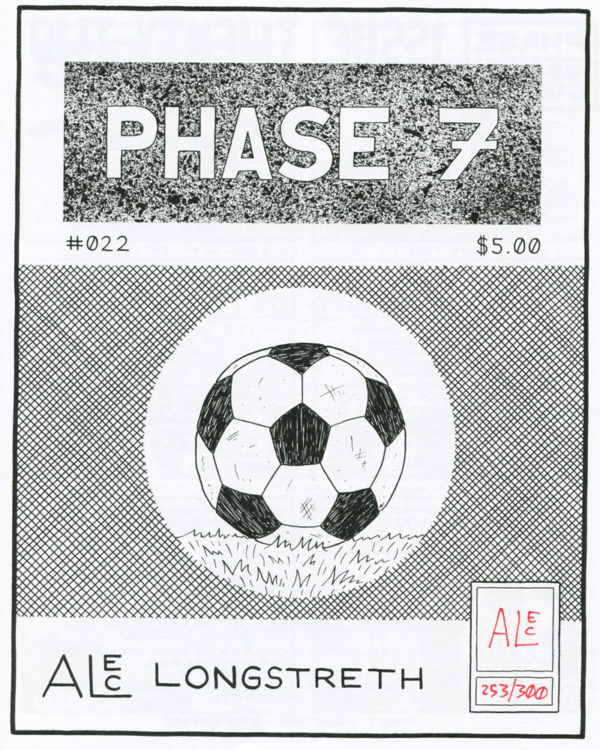 It’s no surprise that he’s drawn comics even the most die-hard Longstreth fan has never seen. 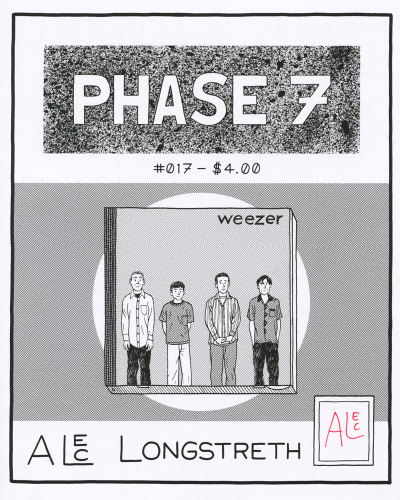 Alec is dedicating issues 022 and 023 of his series Phase 7 to previously published comics from anthologies websites. This issue collects six older comics, as well as one brand new comic! 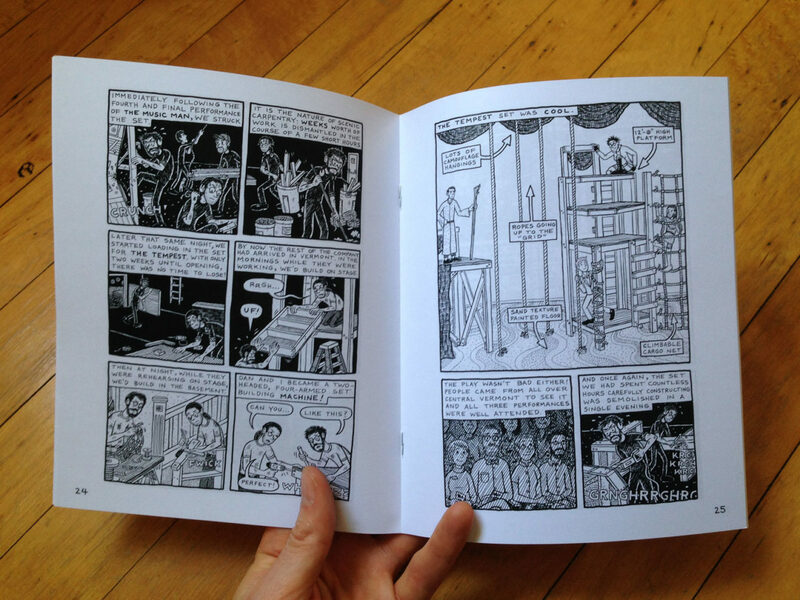 “Frames” was originally published in Robyn Chapman’s Hey, 4-Eyes! No. 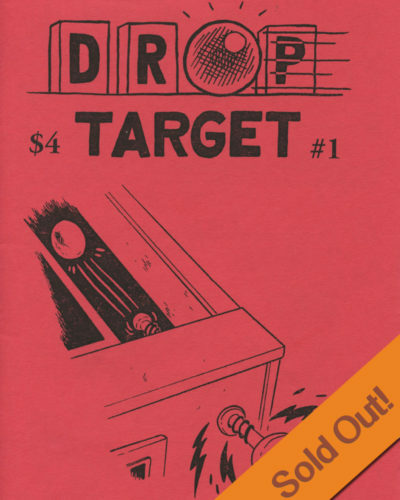 1, a zine all about glasses. 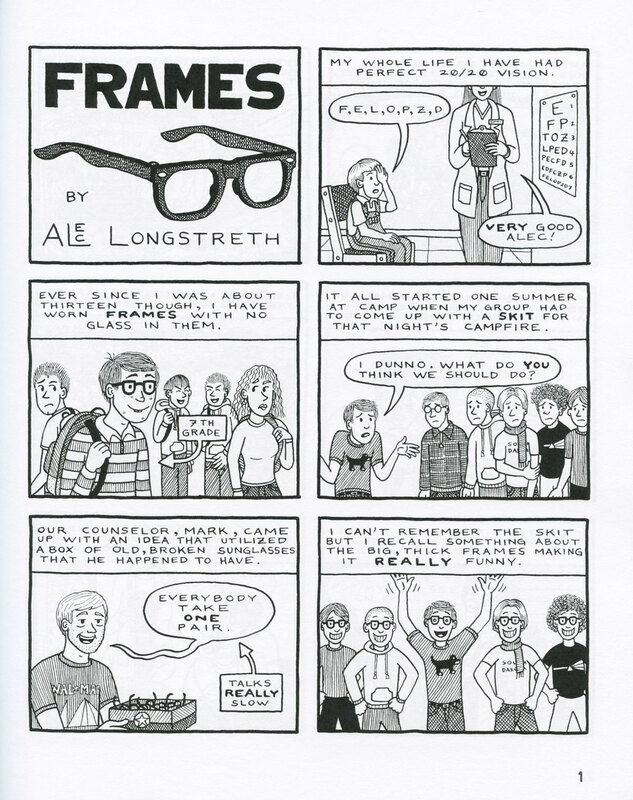 At the time this comic was drawn, Alec was known for wearing black-frame glasses without any lenses in the frames. This comic kind of explains why. “Summer Stock” was originally published in Greg Mean’s Papercutter No. 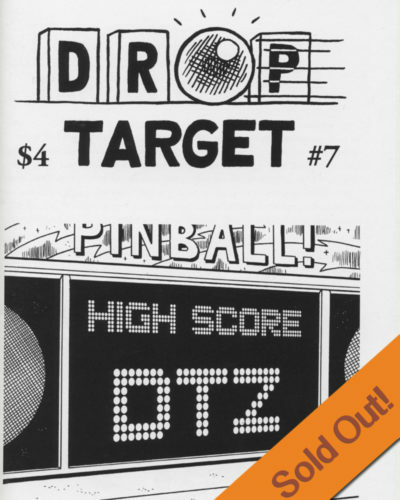 6 (which is now out-of-print, though some Papercutters are still in print!). This is a comic about hard work and friendship! 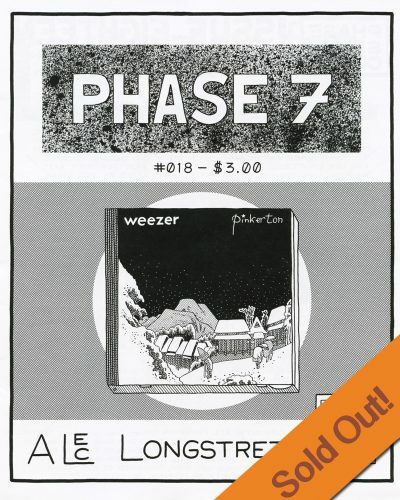 “Stars” was drawn specifically for this issue of Phase 7. 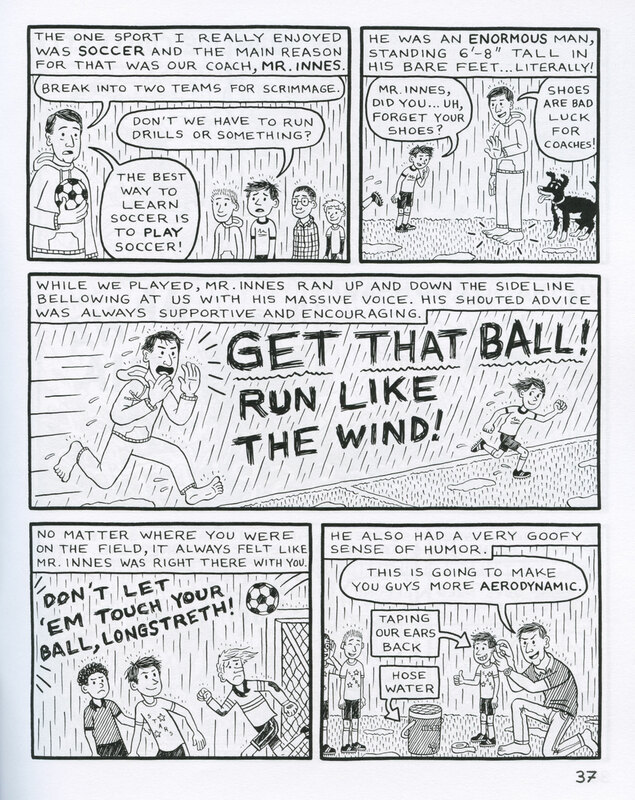 Alec remembers his soccer coach from childhood who instilled a love for the sport and team-work in his players. Four other shorter comics round out the anthology covering the ubiquity of cell phones, missed connections, and a mystery branch over the river in White River Junction, VT! 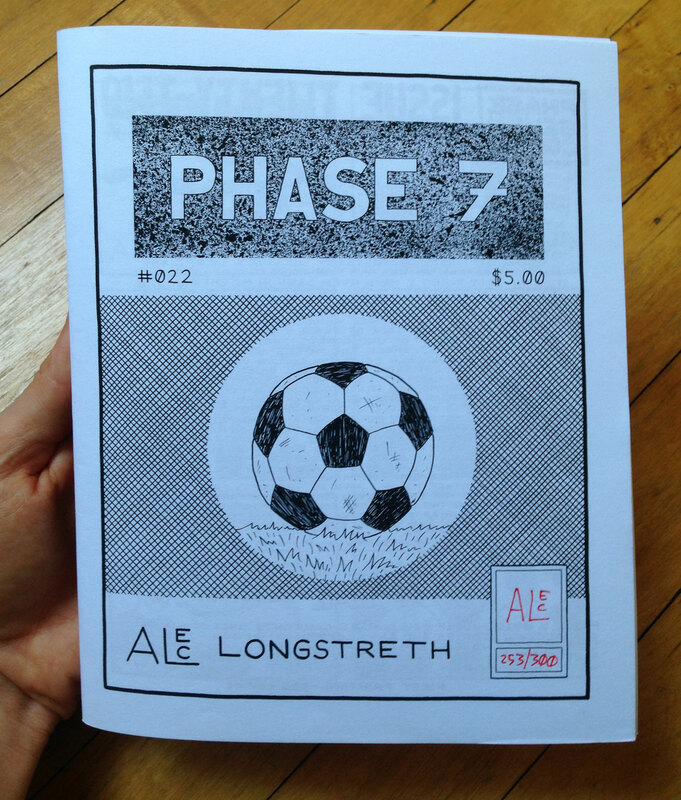 Alec Lonstreth has a serious case of minicomics fever, and it's terribly contagious!